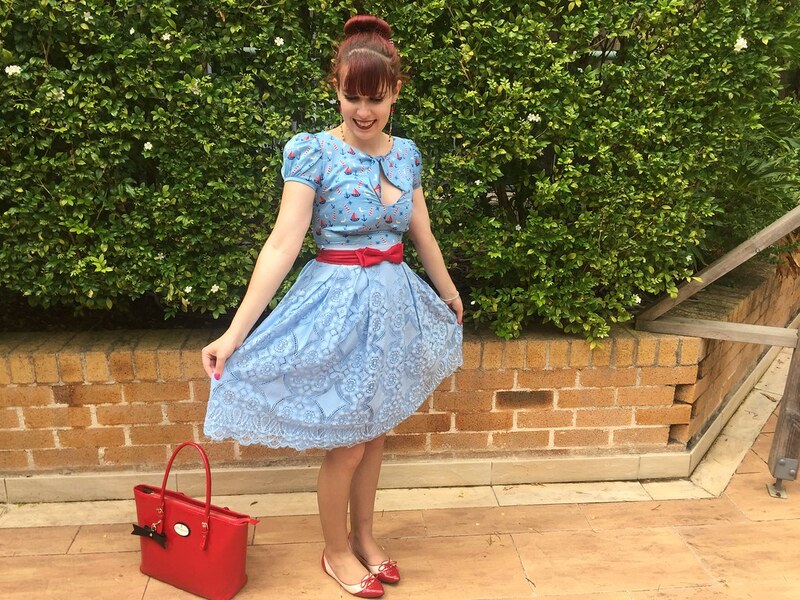 Here is yet another outfit involving my pale blue lace pieces from Kitten D’Amour, what can I say! 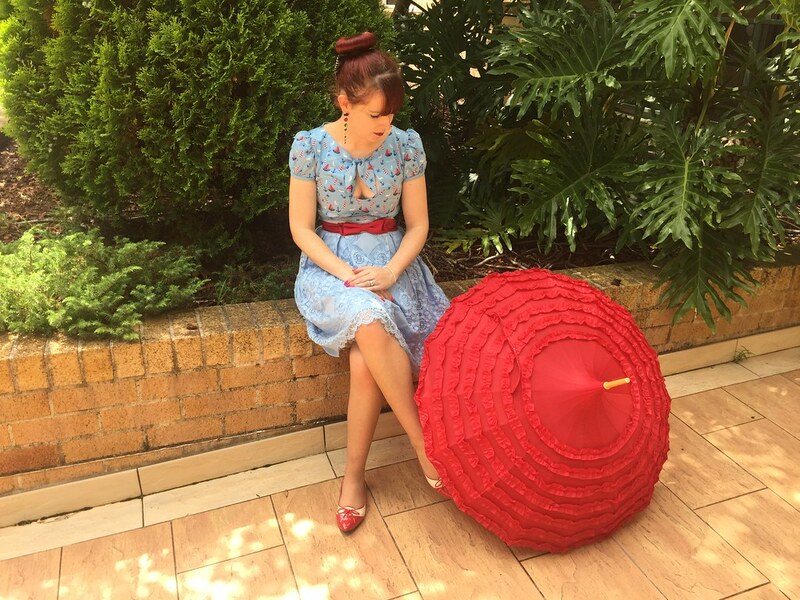 The skirt is one of the best purchases I have ever made due to it’s extreme versatility, I keep reaching for it again and again when I don’t know what to wear with one of my tops. It’s the perfect match for the Aye Aye Kitten top which I’m wearing in these pictures. 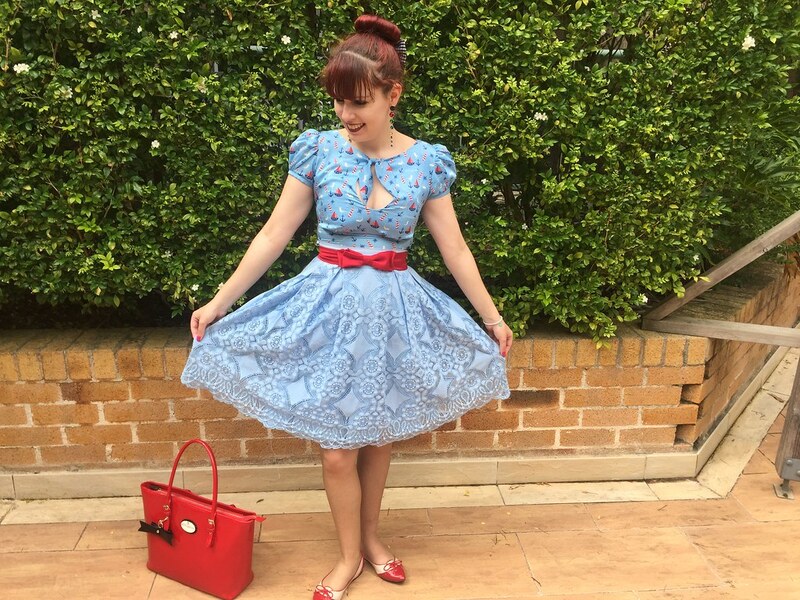 I love pairing current Kitten D’Amour pieces with those from older collections. I acquired this shirt from the Buy, Swap and Sell group on Facebook. It has been so amazing discovering this group as it’s you can find some amazing treasures and it’s such an effective way to sell what I no longer wear. I’ve sold so much that my additional outlay on clothes isn’t actually that much at the moment. 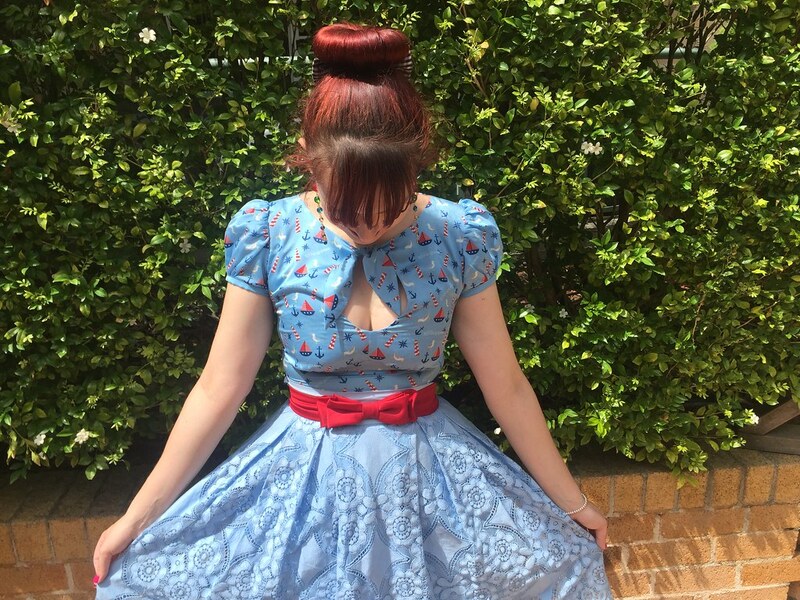 This top is was released before Kitten D’Amour even came to Sydney. The print is so adorable with seagulls, light houses, boats and anchors. I’m not usually a fan of the brand name being printed all over the shirt (I’ve discounted many KDM pieces in the past for this reason) but this one is rather small and cannot be seen easily. The key hole is definitely a different design from the other tops in my wardrobe. The red accessories were an obvious choice with the top. 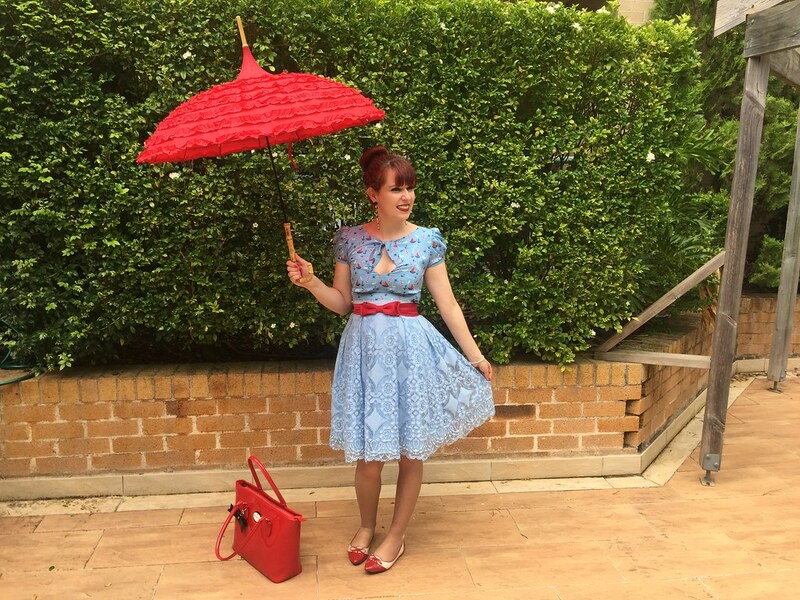 I thought my Frou Frou umbrella which I received for my birthday was the perfect accessory for the outfit too. Although, there was actually a point to the umbrella given that it’s been raining on and off in the last couple of days. 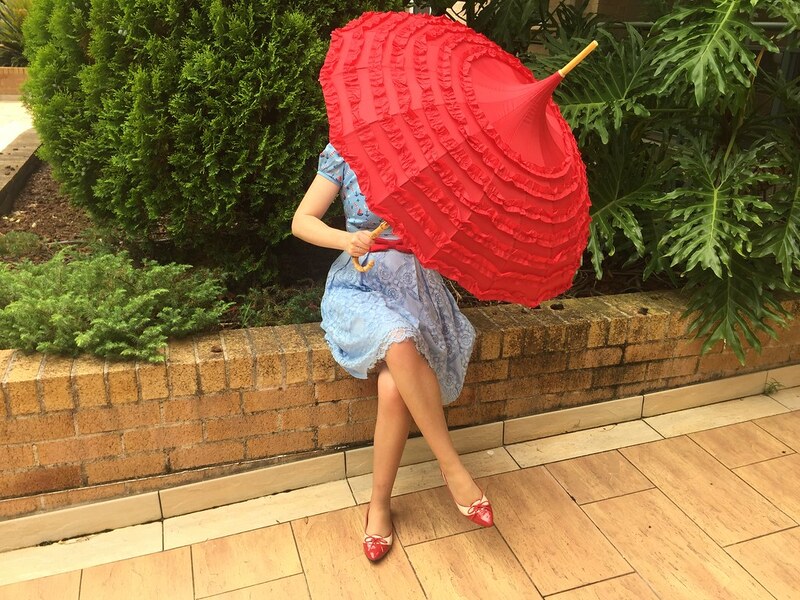 This is the ultimate umbrella and so much better than any I have seen before. It’s so adorable and a great size, in Sydney’s week of wild weather last year it was literally the only umbrella not to fall apart. Beautiful outfit, doll. The umbrella is so, so cute. I like the matching reds here. I love bow overload. It makes the outfit look so cute! Ah, you look fantastic. 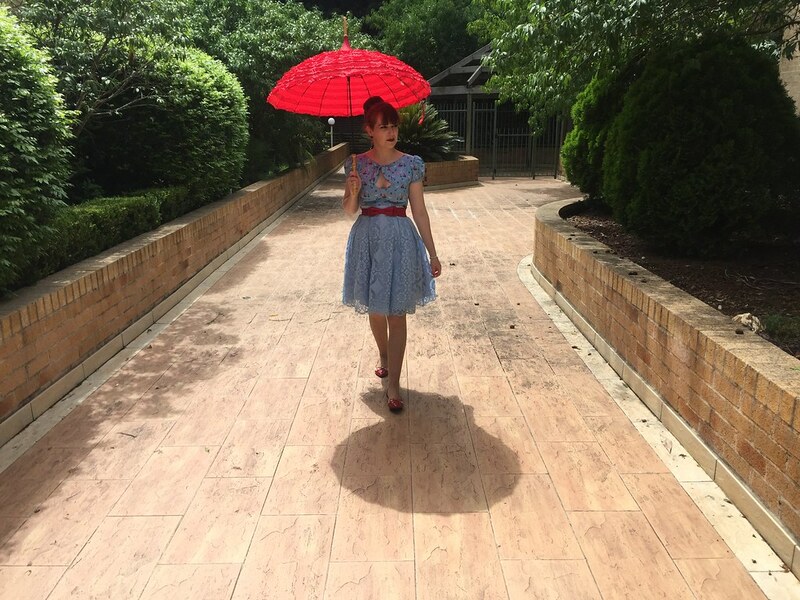 I love this skirt and the great umbrella! I just love a good red and blue outfit! This lace skirt is gorgeous every single way you wear it and I'm in love with your keyhole neckline top. So pretty! Lovely dress, love it so much! Adorable. Very Alice in Wonderland. So lovely and your red accessories are fantastic!!! 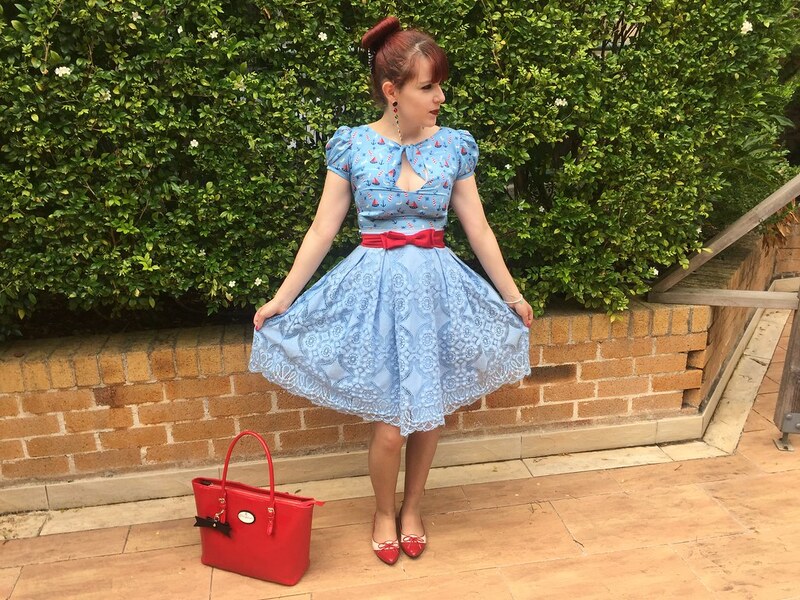 I'd never guess pale blue and red would look that great together! The skirt is really a great and super versatile piece. I love your dress I can see why you love it it's so pretty! Cute look ! The dress is really pretty ! Thanks so much for sharing with Fun Fashion Friday & happy Valentine's Day! Adorable outfit! I love that top! So cute!!! 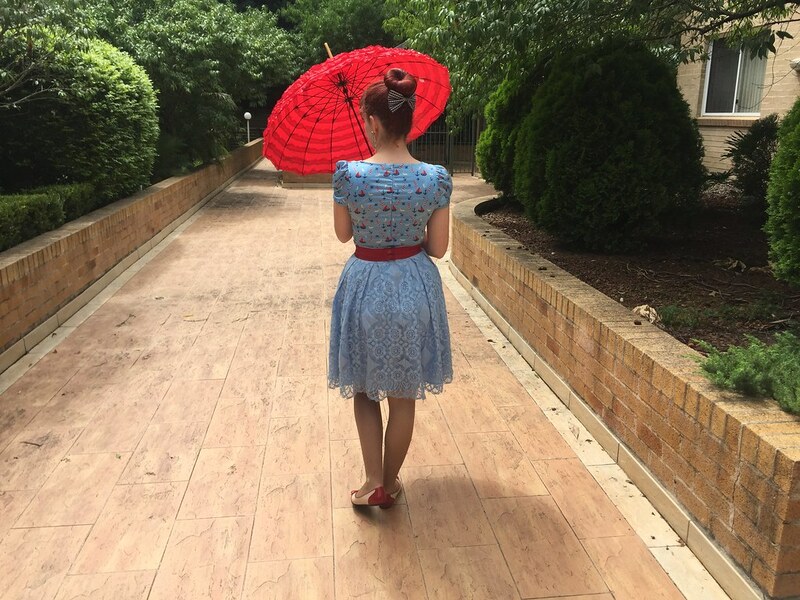 And I love how you've paired this red umbrella with everything. Love it! Love the top & skirt match!